This is the first book to provide an accessible and comprehensive introduction to a newly developed smoothing technique using asymmetric kernel functions. Further, it discusses the statistical properties of estimators and test statistics using asymmetric kernels. The topics addressed include the bias-variance tradeoff, smoothing parameter choices, achieving rate improvements with bias reduction techniques, and estimation with weakly dependent data. Further, the large- and finite-sample properties of estimators and test statistics smoothed by asymmetric kernels are compared with those smoothed by symmetric kernels. 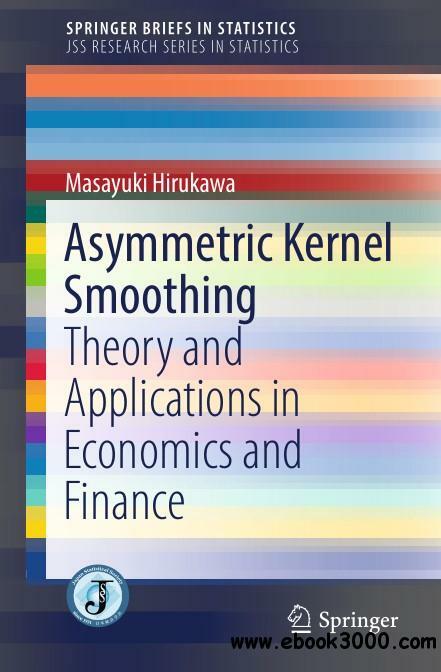 Lastly, the book addresses the applications of asymmetric kernel estimation and testing to various forms of nonnegative economic and financial data. Until recently, the most popularly chosen nonparametric methods used symmetric kernel functions to estimate probability density functions of symmetric distributions with unbounded support. Yet many types of economic and financial data are nonnegative and violate the presumed conditions of conventional methods. Examples include incomes, wages, short-term interest rates, and insurance claims. Such observations are often concentrated near the boundary and have long tails with sparse data. Smoothing with asymmetric kernel functions has increasingly gained attention, because the approach successfully addresses the issues arising from distributions that have natural boundaries at the origin and heavy positive skewness. Offering an overview of recently developed kernel methods, complemented by intuitive explanations and mathematical proofs, this book is highly recommended to all readers seeking an in-depth and up-to-date guide to nonparametric estimation methods employing asymmetric kernel smoothing.